294 pages | 7 B/W Illus. Didier Bigo is Professor of War Studies at King’s College London and Research Professor at Sciences-Po, CERI Paris. He is editor of the quarterly journal, Cultures & Conflicts, and was the founder and co-editor of International Political Sociology, published by International Studies Association. His work concerns sociology of surveillance, policing, and borders. He co-edited Transversal Lines (with Tugba Basaran, Emmanuel-Pierre Guittet and R. B. J. Walker, 2016) as part of the Routledge Studies in International Political Sociology. Engin Isin is Professor in International Politics at Queen Mary University of London and University of London Institute in Paris (ULIP). Isin’s work concerns politics of the changing figure of the citizen as a political subject. He has authored Cities Without Citizens (1992), Citizenship and Identity (with Patricia Wood, 1999), Being Political (2002), Citizens Without Frontiers (2012), and Being Digital Citizens (with Evelyn Ruppert, 2015). He has edited Acts of Citizenship (2008) with Greg Nielsen, Enacting European Citizenship (2013) with Michael Saward, and Routledge Handbook of Global Citizenship Studies (2014) with Peter Nyers. His latest book is Citizenship after Orientalism: Transforming Political Theory (2015). Evelyn Ruppert is Professor of Sociology at Goldsmiths, University of London. She studies how digital technologies and the data they generate can powerfully shape and have consequences for how people are known and governed and how they understand themselves as political subjects, that is, citizens with rights to data. Evelyn is PI of an ERC funded project, Peopling Europe: How data make a people (ARITHMUS; 2014–19). She is Founding and Editor-in-Chief of the SAGE open access journal, Big Data & Society. Recent books are Being Digital Citizens (with Engin Isin, 2015) and Modes of Knowing (with John Law, 2016). Engin Isin is Professor in International Politics at Queen Mary University of London, UK and University of London, Institute in Paris (ULIP). Isin’s work concerns politics of the changing figure of the citizen as a political subject. He has authored Cities Without Citizens (1992), Citizenship and Identity (with Patricia Wood, 1999), Being Political (2002), Citizens Without Frontiers (2012), and Being Digital Citizens (with Evelyn Ruppert, 2015). He has edited Acts of Citizenship (2008) with Greg Nielsen, Enacting European Citizenship (2013) with Michael Saward, and Routledge Handbook of Global Citizenship Studies (2014) with Peter Nyers. His latest book is Citizenship after Orientalism: Transforming Political Theory (2015). 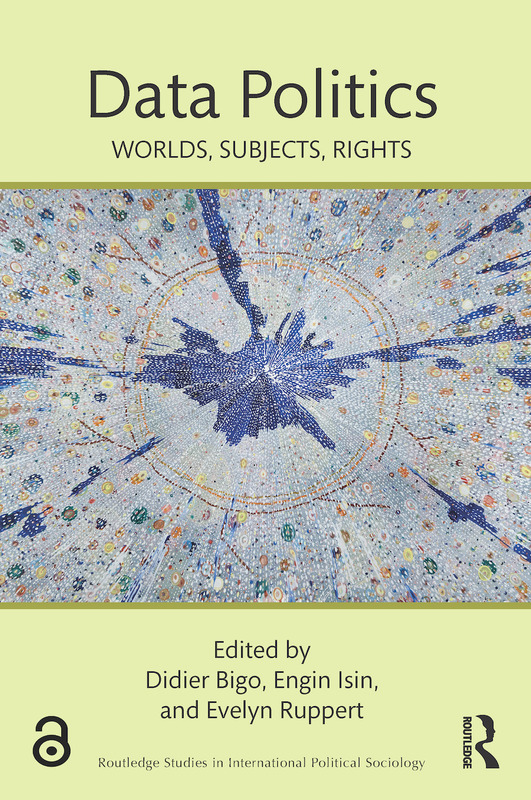 Routledge Studies in International Political Sociology aims to provide a forum for outstanding empirical and theoretical research engaging with the interplays between the international, the political and the social. This timely book series draws upon significant theoretical and empirical challenges within the growing critical approach of international political sociology. It seeks to address, to encourage and to conceptualise the knowledge and understanding of transversal issues at stake when exploring the different components of the heterogeneous worlds hidden behind International Relations. This series seeks to intensify emerging conversations between sociology, social theory, anthropology, criminology, geography, law and international studies. In particular, it seeks to engage the antagonisms at the heart of disciplinary divides and modern modes of organizing worlds in innovative ways. For that purpose, international political sociology seeks to creatively rework the modern categorical dichotomies of state and society, sovereignty and market, national and international, the social and political, nation and state, global and international, and community and society. To make this conversation possible, the series is particularly keen on work that engages with sites and events that re-invent and skew in unsettling ways what is called social and political. The series aims to act as a repository for cutting-edge research. Scholars – whether from international studies, political studies, anthropology, geography, criminology or sociology - will be able to contribute through transversal dialogues to the critical examination of issues at the forefront of social sciences. The series will comprise research monographs, edited collections and advanced textbooks for scholars, researchers, policy analysts and students. It will gather contributions from both early career and established scholars and will expand the audience for what has hitherto been a fruitful critical approach to International Relations.